25 signature standards from this Oscar-, Tony- and Emmy-winning superstar, all transcribed exactly as sung, in their original keys! Foreword by Michael Feinstein. This terrific collection includes over 70 songs associated with some of the greatest female vocalists ever recorded. These "ladies of song" include Barbra Streisand, Etta James, Liza Minnelli, Peggy Lee, and Sarah Vaughan, to name but a few. Liza's signature song! Now available separately: 3-Part Mixed, this arrangement features a dixie-style vocal band section and kickline finale. 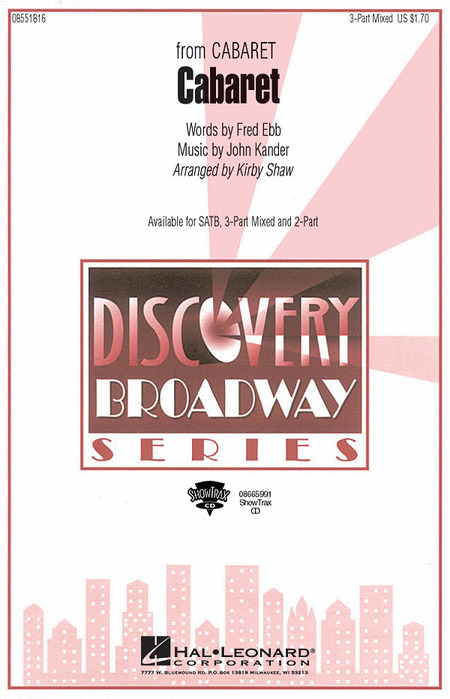 A great opener, closer, or concert theme.Available separately: SATB, 3-Part Mixed, 2-Part and ShowTrax CD. Performance Time: Approx. 2:30. Liza's signature song! Featuring a dixie-style vocal band section and kickline finale, here is a great opener, closer, or concert theme. Available: SATB, SAB, 2-Part. Performance Time: Approx. 2:30.